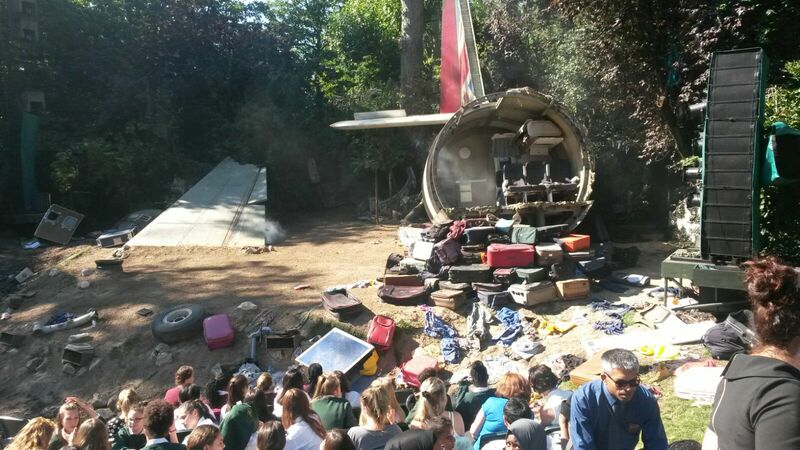 Kingsbury High School students were selected to visit Downing Street twice in as many weeks for two separate events. On Thursday 17th September 18 students were invited to line Downing Street to cheer on the Rugby World Cup Trophy Tour – the trophy’s last stop before heading to the opening ceremony at Twickenham Stadium. 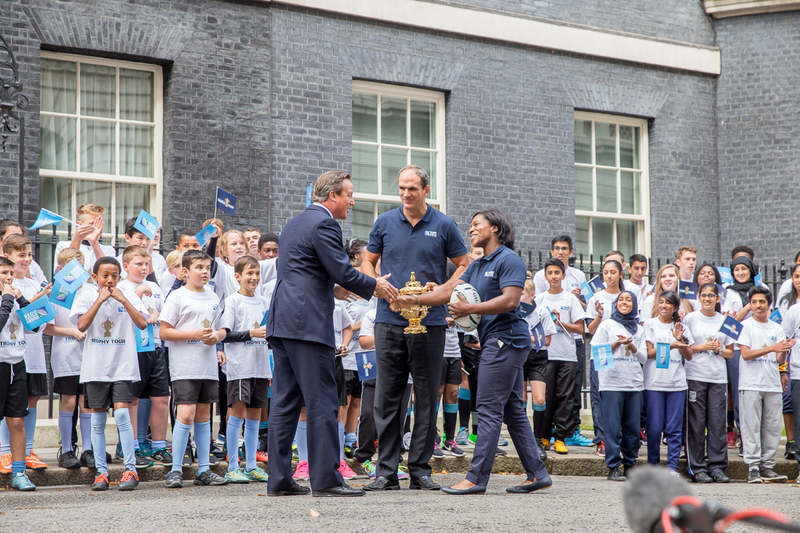 Students met David Cameron before Martin Johnson, former England rugby captain, and Maggie Alphonsi, England Women’s rugby player, arrived with the Webb Ellis cup. Students enjoyed ruby coaching sessions in Downing Street and in the back garden of Number 10, where they were closely filmed and photographed by news teams. The footage was broadcast on National news that evening. After all of their hard work, students were invited in to Number 10 for sandwiches and cake. 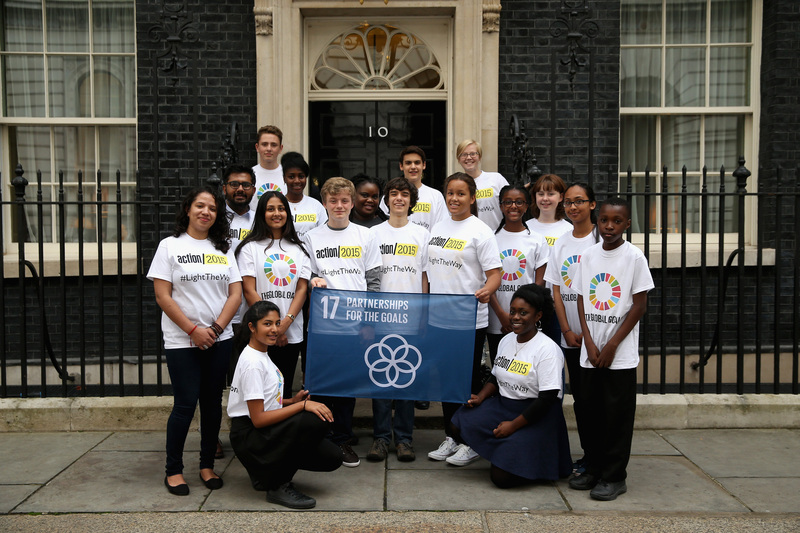 17 children and young people delivered and helped raise the first non-governmental flag at Number 10 Downing Street, representing Partnerships For the Goals, to support the UN Global Goals for Sustainable Development. On Thursday 24th September another set of Kingsbury High School students represented the charity, Send My Friend to School and were invited to Downing Street to deliver and help raise a flag representing ‘Partnerships for the Goals’, one of the 17 new UN Global Goals for Sustainable Development. This is the first time that a non-government campaign flag has ever been raised at the British Prime Minister’s residence. At the United Nations Headquarters in New York, 193 world leaders will commit to a series of ambitious targets to achieve 3 extraordinary things in the next 15 years: end poverty, fight inequality & injustice, fix climate change. The raising of the 17 flags is part of the campaign to ‘Tell Everyone’ about the Global Goals. Founded by Richard Curtis, the Global Goals campaign aims to reach 7 billion people in 7 days. To support the ambition to ‘Tell Everyone’, 17 flags each representing the 17 goals will be raised at some of the most remote communities impacted by the Goals such as the Himalayas, and to some of the most iconic places on earth, from the bottom of the ocean to the North Pole. The flag to represent Quality Education has gone up in India. It is with great sadness that I write to let you know that our former colleague David Humble died towards the end of August. 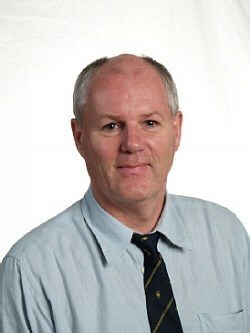 David worked at Kingsbury High from 1993 until his retirement in 2014 and was Head of the Technology Faculty for a number of years. David also returned after retirement to help us out when we were short of technician time. I remember meeting David for the first time in 2009 when I was meeting key members of staff prior to taking up the headship of the school. One of the questions I asked each colleague I met was: “What’s the best thing about Kingsbury High?”. David’s reply has remained with me in the years since. He said, simply, “the children”. The Year 12 induction process carried on two excellent traditions at the start of the new academic year: visits from 30 alumni to inspire and motivate the “next generation” of Sixth Form students; and an introductory programme devised by the Head Boy, Head Girl and Prefect Team, to welcome the new Sixth Formers and pass on wisdom from their own experiences. We were also delighted to host Michelle Perkins, of technology firm Capgemini, who talked to the students about some exciting opportunities with that business, including apprenticeships that some of our students have secured in recent years; and to introduce singer/songwriter Sheena Evans, a former student, who performed some very well-received tracks from her soon-to-be released EP. As a result of this event, a former student has set up a LinkedIn networking group for alumni, we are holding an alumni-led UCAS/Personal Statement surgery and another former student has offered Year 12 students an opportunity to attend an outreach day at global consultancy firm, Accenture. We are very grateful for the support we receive from our alumni and delighted to maintain links with them as they make their way in the world. Further alumni information can be found on our school website and on our alumni features page on our school blog. 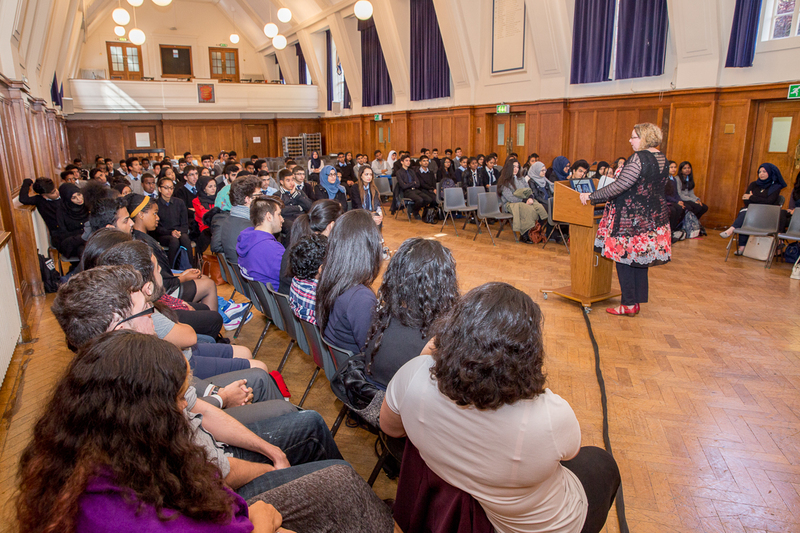 If you are a former student, you can sign up to our network here. Thanks to former student, Louis Cheshire for assisting with the photography. Towards the end of the Summer term a number of Kingsbury High School students were offered the opportunity to participate in the Slambassadors spoken word poetry program run by The Poetry Society. 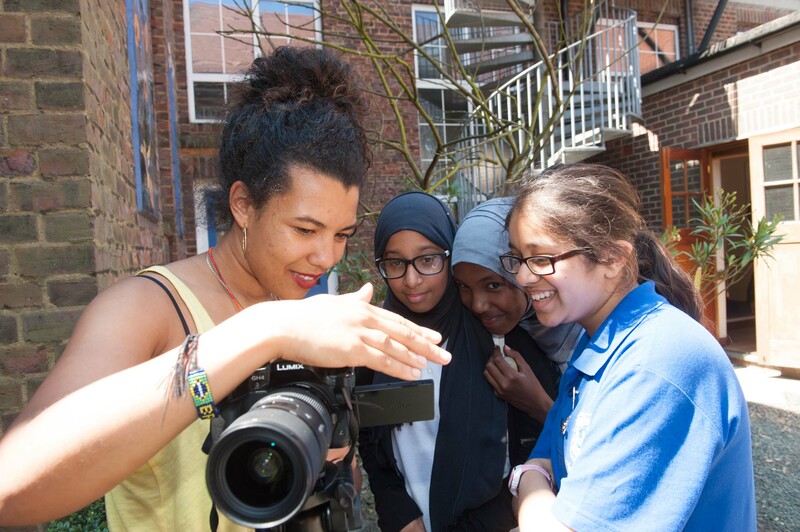 Students participated in 2 days of workshops run by London-based spoken word poet and playwright Deanna Rodger. Students were led through a number of dynamic writing exercises before composing their own poems on the topic of ‘Identity’. After writing and editing their work, participants were given time to rehearse and learn their poems before performing them to camera. The resulting video clips show their accomplishments and are available to view on the Poetry Society YouTube channel alongside work from a large number of schools, both local and national. The energy, dedication and creativity shown by our students was inspiring. Deanna reported that the work produced at Kingsbury high was some of the most interesting and diverse work she has seen on this program. Photographer Hayley Madden (Poetry Society photographer) recorded the event and the joy and confidence of our students is reflected in her beautiful images captured during the rehearsal and performance phase that took place in the garden space outside room 52. Following the workshops three of our students were selected to represent Kingsbury High at a showcase of poetry that took place at The Arts Theatre in the West End. The response of our students to this challenge was inspiring. Zahra Shaikh, La-Shay Green and Basmah Mohamed performed with great confidence and were well received by an audience of their peers, mentors and teachers, that included students from Wembley High, Haverstock School and number of other London schools. All the participants are now entered into the National Youth Poetry Slam where they will be offered the opportunity to develop their work further as well the chance to perform their work at the Royal Festival Hall as part of the UK’s largest and longest running youth poetry competition. An additional benefit to participating in the Slambassadors program was that a number of staff were invited to attend 2 CPD opportunities run by the Poetry Society. One of these run in school by Slambassadors founder and celebrated poet Joelle Taylor looked at the Poetry Societies brand new poetry education resource Page Fright that features work by ex-Slambassadors as well as Benjamin Zephaniah, performing both their own poetry as well as performing classical poems with a modern twist. Page Fright is an interactive web-based resource that allows teachers and students to upload and build upon the existing material to develop a collaborative teaching resource that presents poetry in a dynamic and engaging manner. The second opportunity was a practical workshop in creative writing and performance for teachers and support staff. Both of these were well crafted, well delivered and extremely enjoyable for the staff that engaged with them. Slambassadors celebrates its 15th anniversary this year making it the longest running and most successful poetry program in the UK. Our students have been invited to celebrate this landmark at a showcase event of Slambassadors from the last 15 years of the program at the House of Vans skate park and gallery in Waterloo on the 30th September. Past participants have gone on to enjoy careers in the performing arts. Some of these performers, such as MC Dizraeli (Rowan Sawday) and Anthony Anaxagorou (currently working at Eton to curate their poetry anthology) are now some of the best known poets on the Spoken Word scene. Perhaps this will be the case for some of our students also. Let’s hope so. Thank you to all the students and staff who participated in and supported this program. The joy and confidence it brought to our students is evident in the stunning images that were captured during the workshops. Thanks also to Chris Beschi for the words and to Hayley Madden for the photography. On Thursday 10th September 2015 Wimbledon provided the inspirational backdrop as the Tennis Foundation and Youth Sport Trust announced a three year partnership to extend an exciting social change programme, Beyond the Baseline, to 150 secondary schools and 1,500 young people over the next three years. Kingsbury High School students were involved in the first year of the programme which saw Paralympic Wheelchair tennis player, Louise Hunt, visit Kingsbury High over three sessions to mentor and coach students selected for the programme. 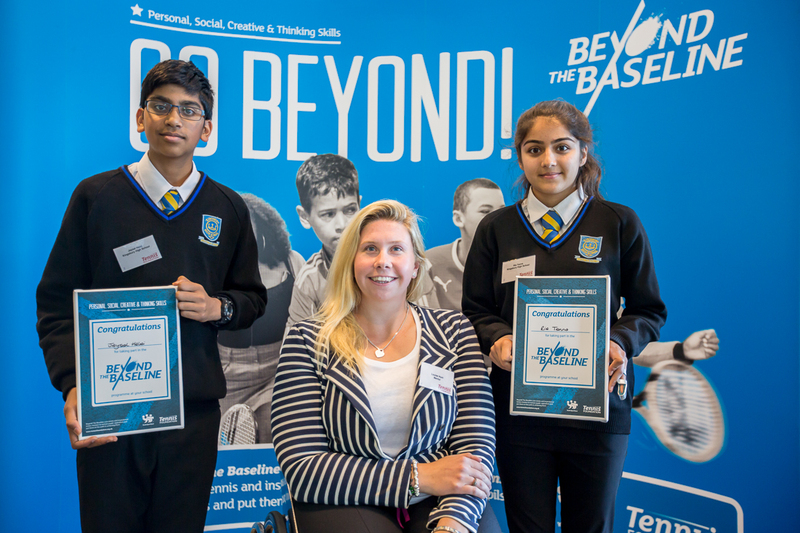 To mark the end of a successful year and to announce the extension of Beyond the Baseline, two Kingsbury High School Year 10 students, Jaysal Halai and Ria Tanna, along with students from other schools, were invited to a special celebration at the All England Lawn Tennis Club. The invited guests, who also included Beyond the Baseline mentors and dignitaries from the Tennis Foundation, Wimbledon and Youth Sports Trust, heard about the benefits of the programme, followed by lunch and a tour of Wimbledon. Ali Oliver, Chief Executive Officer at the Youth Sport Trust, said: “We are delighted to grow our relationship with the Tennis Foundation, combining the Youth Sport Trust’s considerable experience in raising achievement and athlete mentoring with the power of tennis and the inspiration of elite players. At Thursday’s event Jaysal and Ria were called up to the stage to be interviewed by Sky Sports Presenter, Jane Dougall. Ria said “The best part of Beyond the Baseline was learning all the leadership skills for leading primary school students and then actually putting all of it into practice.